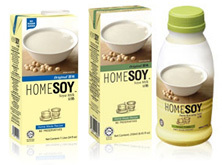 It has a rich authentic soya taste, and it is as natural as you can get. 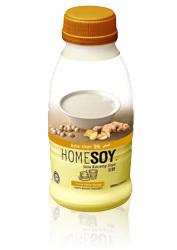 Available in 250ml, 1 litre, 300ml (bottle) and 750ml (bottle). 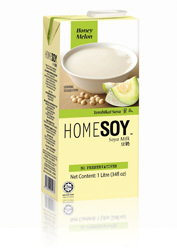 No Added Sugar variant is a healthier alternative for consumers who prefer HOMESOY with no sugar added. Available in 1 litre. 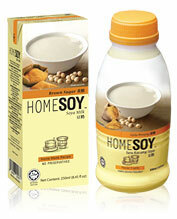 First packaged soya product with Brown Sugar in the world. Brown sugar may be either unrefined or partially refined sugar. It has a distinctive color and flavor. It has a slightly lower calorie by weight than white sugar. Available in 300ml (bottle) and 750ml (bottle). melon to give a soya that is refreshing.